Achieving top positions is challenging enough, but fortunately there are ways we could do to make it a reality. Before promoting our website, we should make sure that we have properly researched the website. If we choose wrong keywords initially, it is quite possible that all our efforts will be prematurely wasted and we need to start over. Follow common SEO rules: This should be the single most essential step before we can hope to significantly increase our rankings. One of the easiest ways is by putting our keywords in proper areas, such as metatags, image alt, H1, H2 and other areas. This should be a very easy on-page optimization technique. It should be noted that not all webmasters realize the importance of this technique. It may sound a very outdated way to configure our website, but if we could do it properly; Googlebots will still see it as a valid way to recognize a website. Those who want to get the most of the SEO techniques should consider hiring experienced firms and consultants. Create inbound links: That’s right. Although it is considered improper to artificially create our own inbound links, we should still start from somewhere. It would be much harder to gain genuine links if we fail to jumpstart the process. The most natural way is to do guest blogging and we could submit content that includes a link to our website. In this case, it would be a good idea to add links to multiple authority websites as well, so Googlebots will see it as something more natural and believable. Create quality content: It is generally considered important to create our own quality content. When we create a quality content, it is quite possible that people will link to us. So, we should ask ourselves whether our content is genuinely interesting that it can attract at least a few inbound links. In some cases, more popular websites can gain hundreds of links easily only by publishing a single interesting webpage. Use social bookmarking websites: Social bookmarking services actually have very little contribution in boosting our search ranking positions, but it can still encourage Googlebots to index our newly published webpages. Reddit, Furl, Del.icio.us, Digg and others can help us spread the words about our websites. It is actually possible to attract a few direct visitors from these websites. If our title is interesting enough, people are more likely to click it and if they find that our webpages are comprehensive enough, they could recommend them in forums and blogs. This would mean new fresh links for our websites. Being considered as a highly trustworthy website would take time. But remember, we can’t speed up the process by being spammy. 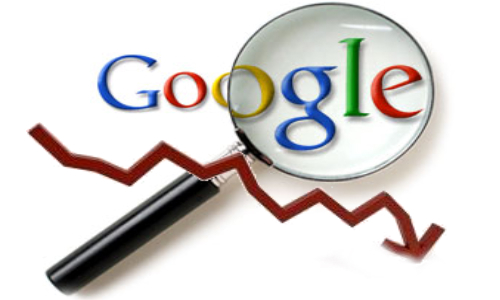 Googlebots could easily detect if our links are present in hundreds or thousands of social bookmarking websites. This will cause our websites to get penalized and ranked lower than they should. By performing honest techniques, it should be possible for us to gain positive effects such as higher search positions and PageRank.